Bayern Munich are reportedly keen on signing Arsenal defender Laurent Koscielny. The London Evening Standard understands that Bayern are considering a swoop for the Frenchman this summer, having previously circled around the time of his Arsenal contract extension in 2014. Mehdi Benatia could be looking for a new club after managing only 14 starts in all competitions for the Bundesliga champions last term, and Koscielny would more than adequately fill that void. But the 30-year-old would likely have to be prepared to settle for a place on the bench at the Allianz Arena because Bayern have signed Mats Hummels to partner German teammate Jerome Boateng. Another possible obstacle to the transfer is that Koscielny still has three years left on his contract at the Emirates Stadium and the Gunners will be very reluctant to sell their one reliable centre-back. 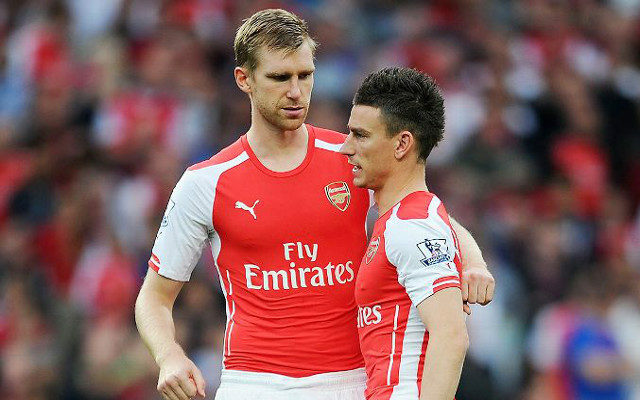 Koscielny has made 248 appearances for Arsenal since his arrival from 2010. He may be a candidate to be the new club captain after Mikel Arteta left North London at the end of his contract.